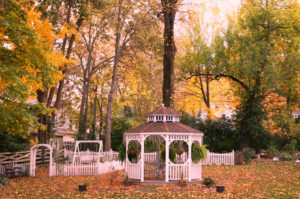 Escape to the Heart of Illinois for a Fall Foliage Tour! Spend the days driving around the West Central Illinois region to view the fall colors, then come back, put your feet up and relax at Blessings on State Bed & Breakfast in Jacksonville, Illinois. Put your feet up and enjoy some hot cider or make S’mores at the fire pit – Blessings on State is a great place to experience fall! 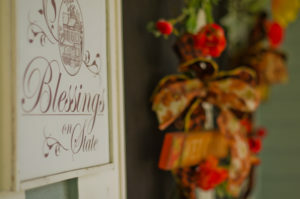 Experience our award-winning Blessings on State Bed & Breakfast located in a magnificently restored 130-year-old mansion in the heart of the Jacksonville historic district. Located just minutes from Springfield, the state capitol, Jacksonville offers history, dining, shopping, sports and entertainment wrapped in Midwestern Hospitality. We’re celebrating 10 years of building special memories at Blessings on State. Wi-Fi is available throughout our home and each suite has a digital satellite TV and and all-season fireplace. Escape the standard room and enjoy your own private suite in the finest Jacksonville area lodging. Book direct for the best rates.